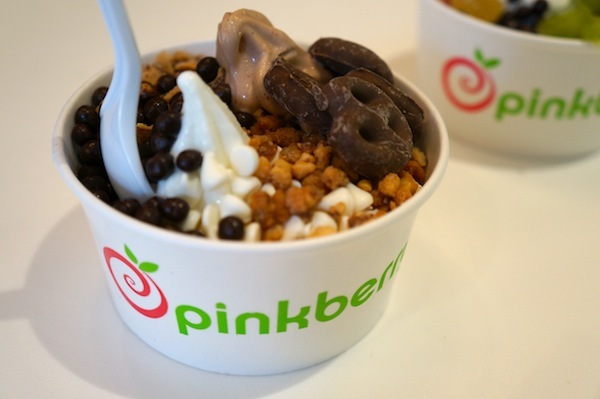 My two favourite froyo places are Pinkberry and Yeh!. Often mistaken for one another, these places have amazing selection with fantastic toppings. And Yeh! makes crepes and smoothies too! Just fill up a cup with yogourt and toppings, and they’ll blend it into a smoothie for you. As it says on the Yeh! cup, treat yourself! I challenge you to find a frozen yogurt shop this spring/summer. 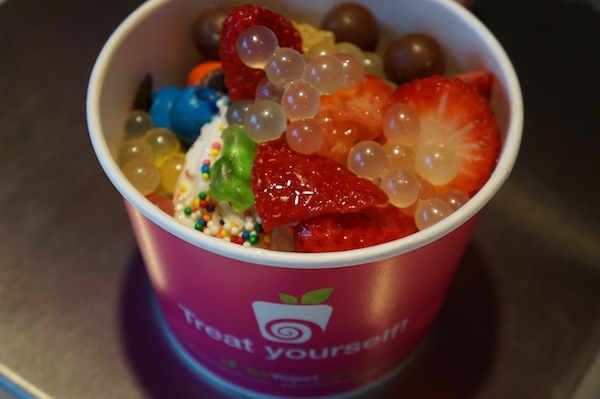 What are your favourite froyo toppings? Tell me in the comments below.